5. Ongoing supervision of personnel to ensure maximum compliance with policies and training. All of these elements are important to try to accomplish the critically-important goal of trying to keep inmates safe from self-harm. Of course, these elements are also important in regard to legal protection; if an inmate commits suicide, there will likely be a wrongful death civil lawsuit, and any or all five of the above-listed elements may be brought under scrutiny in such a lawsuit. In regard to #1 above, the policies and procedures of the facility on suicide prevention should have the same basic characteristics as policies on other important issues: they should be thorough and comprehensive; they should reflect applicable professional and legal standards, including statutes, administrative rules, case law, and—ideally—national jail standards (such as the accreditation standards of the American Correctional Association and/or National Commission on Correctional Health Care; they should be in accord with actual practices in the facility; and they should be written as clearly and simply as possible so that users of the policy can easily-enough understand what they are supposed to do and how to do that. • Intake screening: The intake health screening process should always include a mechanism for routinely trying to determine that a new prisoner may be a suicide risk. This is done by asking basic questions of each new inmate, such as "Have you attempted suicide in the past?" and "Are you feeling suicidal now?" and so on. Follow-up questions must then be asked, as necessary, to get complete information. Suicide risk screening may be done as part of the general health screening, or as a separate screening process. • Risk identification in other ways: In addition to routine intake screening, potential suicide risk should be determined in other ways when inmates first enter custody. There should be a formal mechanism for determining if arresting or transporting officers have any information or opinions about a prisoner’s suicide risk. If an inmate has been transferred tot the jail or prison from another correctional institution, there must be some method for determining if the inmate was a suicide risk at that other institution. Also, there must be a method for routinely checking records of past incarcerations of any particular inmate at the jail or prison to determine if that inmate was a suicide risk during any such previous incarceration. That is crucial information. Finally, policy should address a method for what to do if information about an inmate’s possible suicide risk comes in from any other source, such as a family member of friend, lawyer, probation officer, clergyperson, etc. • Assessment of suicide risk: Once an inmate has been identified as a possible suicide risk in any way, there must be a procedure for assessing them to try to determine their level of risk—high, moderate, etc. Ideally, that should be done by medical or mental health personnel. Such assessment then usually drives the decision as to classification and housing of the inmate, observation and supervision, security measures to be taken, provision of care and treatment, and so on. Policy must also specifically address who has the authority to place an inmate on suicide watch (or similar term) and who has the authority to remove an inmate from such status. Many agencies, for example, will allow correctional line staff members to place an inmate on suicide watch (at least initially) but they do not have the authority to remove the inmate from such status. Instead, that can only be done by, for example, a mental health professional. • Classification / Housing: Classification is a critical element in regard to inmate protection. A sound classification process is the basis for determining the most appropriate housing for an inmate who is a suicide risk, as well as program needs. Policy should describe the classification system that is in place and how suicide risk factors in to classification decisions. • Referrals of inmates: There must be procedures in place for making referrals of inmates to mental or medical health professionals if they suspect or believe an inmate to be a suicide risk. There must also be a procedure for inmates to request to be seen for health care services. Whatever the method(s) for such referrals, it is critically important that all referrals are thoroughly documented. • Observation / supervision: Policies should address requirements for observing inmates who are possible suicide risks, to ensure that they are safe and well. This should include specific requirements regarding minimum time intervals at which to check on inmates in different types of housing and/or who have been placed in different levels of supervision (such as close observation, constant observation, etc.). For example, policy may specify that an inmate in a particular category be observed constantly, or every five minutes, or every 15 minutes, at irregular intervals. Policy must also address the requirements for documentation of such checks. A specific component of adequate supervision focuses on being sure that an inmate who has been deemed a suicide risk and may be on suicide watch is accounted for at all times. 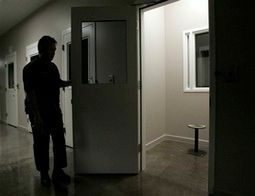 Such an inmate may be out of his or her living area to a medical appointment or at a program or at court, or for other reason, and may not be under proper suicide prevention supervision during such times. It can be too easy to lose track of him or her. For example, a suicide risk inmate may be placed in a court holding cell for a period of time, unobserved and unsupervised. A procedure must be in place whereby inmates who have been deemed suicide risks are tracked at all locations, at all times, so that they can be properly supervised. • Communication: Ongoing and effective communication regarding issues and care of inmates who are suicide risks, both verbally and in writing, is a key element of a good suicide prevention program. There must be good communication among correctional staff members, between correctional staff and medical and mental health care providers, and with inmates themselves. Communication involves both informal sharing of information as well as more formalized opportunities, such as shift briefings, multi-disciplinary meetings or staffings, and debriefings following critical incidents (discussed below). Communication also involves application by staff of good interpersonal communication skills when talking with troubled or at-risk inmates. 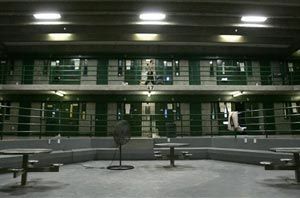 • Intervention: Policy must address key issues regarding intervention in apparent inmate suicide attempts, including specific information on such issues as when and under what circumstances officers are to enter inmate living areas to intervene; cutting down of hanging victims; provision of first aid and, if necessary, CPR to inmates; initiation of emergency medical services; and securing of scenes and preservation of evidence. Policy ought to indicate that staff members are not to presume that inmates are dead, but are to intervene and summon medical help in all cases of suicide attempts or apparent suicides. • Documentation: There should be specific policy information as to all documentation to be completed in relation with an overall suicide prevention program. Policy should indicate specific forms, documents, records or reports to be completed; who is to complete them and by when; routing and filing of all documents; review of reports or other documents; and so on. Remember that in the event of litigation, good documentation is one of the most important tools to show that proper actions were taken. • Critical incident debriefing, or administrative review: This term refers to a formalized procedure in which key staff members get together following any type of critical incident in a jail or prison to discuss what happened and to determine if any changes are warranted in order to improve future performance, in regard to policy and procedures, training, documentation, supervision, etc. The goal is not to assign blame for what happened, or to point fingers. This is also sometimes referred to as an “administrative review” or, in the case of an in-custody death situation, a "mortality review." In the case of an attempted or actual suicide, the debriefing ought to include both correctional administrators, supervisors and line officers as well as involved mental health and/or medical staff. Unless such debriefings are conducted, it is more likely that future such unfortunate incidents will occur. • Critical incident stress debriefing: This procedure is not the same as the above-described critical incident debriefing. Instead, this refers to a formalized opportunity for involved or affected staff members to talk about their thoughts and feelings about a possibly-difficult critical incident, such as a death or suicide attempt, so as to try to deal more effectively with their difficult or troubling feelings. Policy should indicate that this opportunity is available and should indicate who hast he responsibility for planning and implementing it. • Notification / reporting: Finally, written policy should address notification of specified people about and reporting of serious suicide attempts and suicides. There should be an indication as to who will be notified, in what formats or methods, and who has the responsibility for doing so. There should be an indication of more formal reports to be prepared and filed, including the required time frames for all such reporting. • Post-release planning: An inmate who has been a suicide risk while incarcerated cannot simply be released from custody with no thought given to his or her protection from self-harm following release. Instead, reasonable steps must be taken to try to provide some care for the person and to keep him or her safe. What those steps are depends on the circumstances and the availability of services in a particular community or state. It may range from simply providing referrals to outside care providers, to setting up follow-up care appointments, to—in more extreme cases—doing an emergency detention of the person for mental health evaluation and possible involuntary civil commitment. If the inmate is being transferred to another jail or prison, there must be some method for transfer of or submission of information on the inmate’s status, including his mental health and/or suicide risk information. Ideally, someone at the jail or prison will maintain follow-through contact on the inmate, with care providers or others, just to try to ensure the person’s safety. These are the key suggested components of a good overall suicide prevention policy for a jail or prison. Remember that tolicies and procedures are never static. They must be carefully reviewed, both following critical incidents and routinely, to determine if any revisions are necessary and appropriate. Annual routine review of all policies is recommended, as a minimum. Remember that one purpose of such reviews is to determine if the written policy is congruent with actual practices in the facility. If not, then either the actual practices have to be modified or the policy must be revised. In the event of litigation, such as a wrongful death lawsuit, plaintiff’s attorneys tend to smile when they learn that a facility’s written policy says one thing but what actually happens is different than what the policy says. NOTE: An excellent resource in regard to mental health and suicide prevention issues in correctional facilities is a free publication entitled Jail Suicide / Mental Health Update, published by the National Center on Institutions and Alternatives and the National Institute of Corrections, U.S. Department of Justice (http://www.ncianet.org/suicideprevention/index.asp).